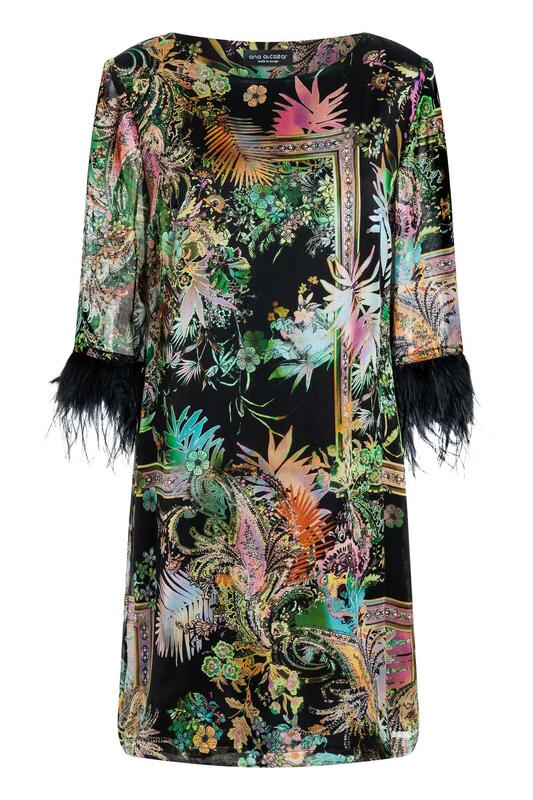 Our style team says: this gives us wings – this dress takes us into another world with the fanciful print. 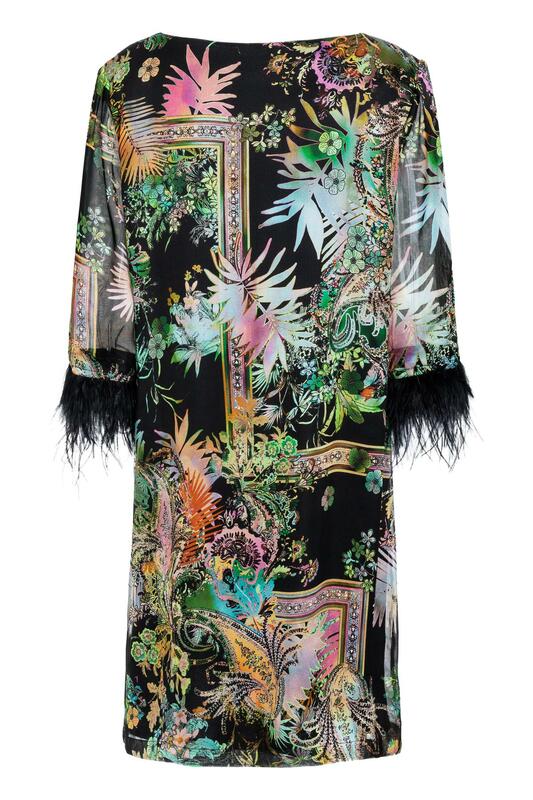 The bright colours create a particularly splendid effect on the black. The cut is casual with its bateau neckline. 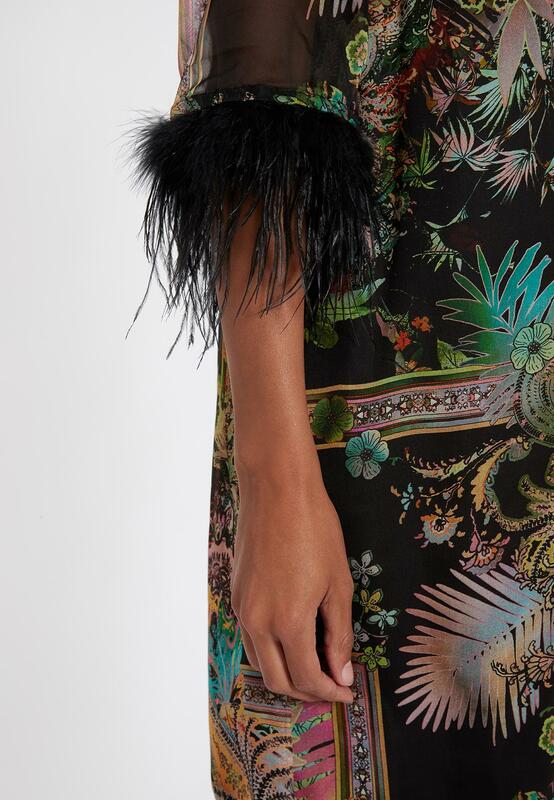 The 3/4 arms enchant with filigree feather details. Downgrade the sophisticated look in everyday life with sporty or simple accessories.